When America's longest serving senator Frank Lautenberg passed away in June, he left his New Jersey Senate seat open for a special election this fall. 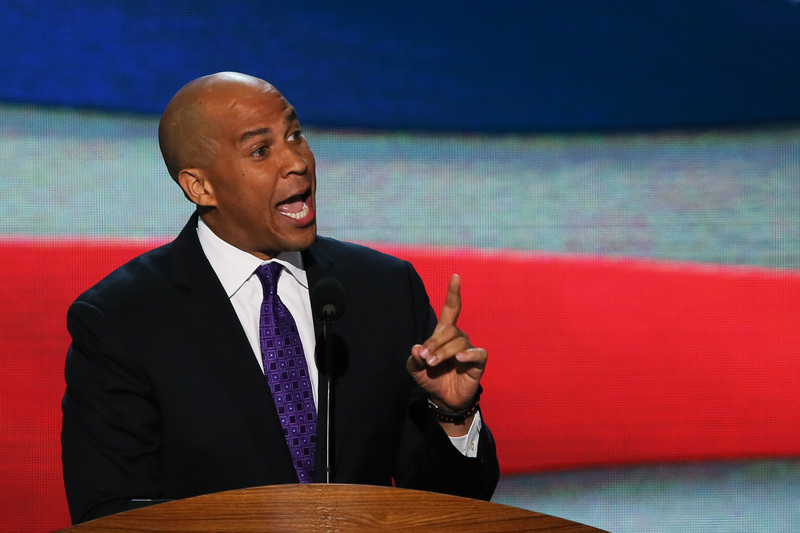 His passing also opened a window for one of the country's fasting rising stars, Newark Mayor Cory Booker, to move forward with his mission to change politics. It would be an understatement to say that Congress has something of a palette problem. Scroll through our Senators' bios and you'll find a lot of rich old white men, and just a handful of women and minorities. In the most literal sense, true representation would mean electing a legislature that mirrors the American people's demographic characteristics almost exactly. At the other end of the political theory spectrum is a more "philosopher king" approach, which argues for just putting the people in office who "know what's best for us," regardless of their own personal experiences. Of course, Cory Booker is an extremely educated millionaire and, of course, a man. But there's more than just his age and his skin color that sets him apart from most of his fellow politicians. Cory Booker has taken a radical approach to representation as the mayor of Newark and, before that, as a Newark City Council member. Booker can't change his fundamental identity, but he's made it clear that he's willing to walk a mile in his constituents' shoes. In 2012, he spent a week living on a $5 a day budget to try to replicate the food stamp experience. He lived in Brick Towers, a public housing complex in Newark, for eight years. You can brush these off as gimmicks, or you can choose to believe, as I do, that Booker is actually a pretty genuine guy. These stunts go a step or two further than just shaking hands and kissing babies, after all. Today, Booker has close to 1.5 million Twitter followers, with whom he engages directly and constantly. He's young and hip enough that American Crossroads might just grace him with a "cool" attack ad of his own. The man is not perfect. Booker still has some explaining to do regarding his controversial financial involvement in fledgling startup Waywire. He's been criticized for his political ambitions, and for abandoning Newark just as it was getting on the right track. In the Senate, Booker would represent the second wealthiest state in the country — from the perspective of a resident of the state's most struggling city. He could help fix Washington's empathy problem with his unique ability to connect with constituents. He's outspoken and yet not politically polarizing; the kind of presence that could help push through this endless political gridlock. All important things to consider.